UCL ISH are delighted to announce that the Heritage Science Laboratory has achieved a bronze award for its first entry into the sustainability awards. Laboratory research and the buildings which facilitate them consume 5-10 times more energy per square meter than typical academic areas. As a result, over 50% of UCL's electricity is being consumed in buildings servicing laboratories. To help mitigate these effects Green UCL provide support and resources to departments to help them achieve efficient and sustainable research practices. The Green Labs programme awards and enables staff and students to improve the sustainability of their laboratories. The programme aims to reduce the negative environmental effects of laboratories at UCL and beyond, integrate sustainable and efficient practices into how students learn, develop standards of sustainable and efficient science, and improve overall research efficiency. The UCL ISH Heritage Science Laboratory was awarded bronze for having secured areas, spaces kept clean and tidy, lab inductions which teach lab users good waste segregation methods, and for minimising wastage by keeping laboratory lights on a timer. 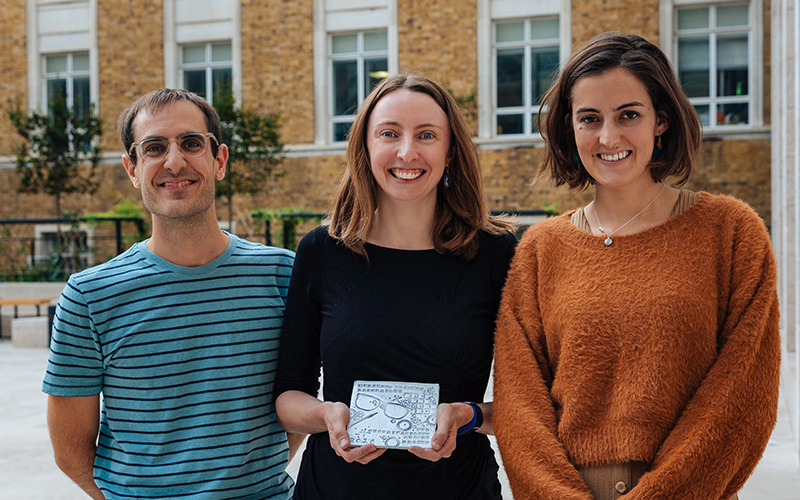 The Heritage Science Lab team are expected to achieve the silver award next year and plan to include the HereEast team in a subsequent entry to raise engagement. The award ceremony will take place in September.